When something's off, a band just knows. Their set didn’t sound quite right, they didn’t get that certain vibe from their songs, and they’re not sure where to point the finger. All they know is the guy at the back of the room with the black T-shirt and combination flashlight/multi-tool Batman utility belt starter kit had a chip on his shoulder the whole night – and that didn’t help anything. On the other hand, many sound engineers head to gigs every night dreading what might come their way. Will they have to try to mic a musical saw and somehow make that compete with the refrigerator masquerading as a bass amp that the band "had to bring" to "get the kind of sound they need"? Will the lead singer have a sudden out-of-body experience, and as if possessed by the raw cosmic energy of Roger Daltrey, and end up sending a dynamic cruise missile microphone into the bathroom? Does the whole experience have to be wrapped up in an "us against them" attitude? The simple answer is no, it does not. The goal of my articles within this column is to attempt to bridge the gap between both camps and help make the live experience better for everyone. Ambitious? Perhaps. Impossible? I think not. As both a musician and an engineer, I've been on both sides of the mic almost equally. I've performed on stages large and small, from coffeehouses to arenas, and have had some absolutely outstanding experiences with other sound engineers. I’ve also had some experiences that will certainly be the basis for articles to come. As an engineer, I've mixed everything from a guy with an acoustic guitar in the corner of a dive bar to internationally touring, major label artists. I can also confidently say that in my work as a sound guy, some experiences have been enlightening and inspiring – while others are the basis of my recurring nightmares. So, do many sound guys have a chip on their shoulder? I wish I could say no, but it’s true that some do. In their defense though, it may not always be completely unwarranted. If they’ve been working in the field for any period of time, I can guarantee you they’ve seen some cringe-worthy things – things that you, as a musician, do without even knowing it. In all fairness, the unnecessary bitterness that sometimes exists between the sound guy and the artist can swing both ways. I’ve seen too many bands deem the sound guy a washed up, bitter, wannabe musician, or just a frivolous addition to cut into their pay, cause them headaches, and interfere with their set. This couldn’t be any farther from the truth. Note: For the record, sound guy is a generic catch-all term for the person in charge of the audio requirements at a venue, regardless of gender. I know many sound girls – and they're debatably some of the best engineers I know – but typing and, therefore, reading "sound guy and/or girl," "front of house engineer," "monitor engineer," "system tech," or "audio engineer wearing all of these hats due to the size of the venue" every single time just becomes tedious for everyone, so we’ll continue forward with sound guy for now. But isn't the sound guy/artist relationship doomed from the start? It doesn’t have to be this way – in fact, it almost certainly shouldn't. The relationship between the sound guy and musician is debatably one of the most important working relationships that needs to be managed over the course of your performance on any given day. Most musicians are so worried about talking to the management, getting their merch set up, and figuring out what to say and do to try and entertain current fans or gain new ones that they neglect the person who may actually have the largest impact on their set that evening. Don’t get me wrong – as an independent artist, there's a lot on your plate at any given time, but establishing good rapport with your gig's sound guy is not something to put on the back burner. If dozens of bands use you and abuse you, it might be hard for you to be a shining beacon of optimism, too. Why shouldn't I just cut out the middleman and not deal with the headache? The sound guy is not only a necessary component of great sound for the gig, he or she is also an additional member of your band for the evening, and the mixing desk is his or her instrument. It’s imperative that both parties work in harmony, even when it's hard to do. It's the Talent vs. Technician Paradox – these two parties rely on each other to not only have jobs at the end of the night, but also because their individual success, to some extent, lies in each others' hands. For one reason or another, they're infinitely at each other’s throats. 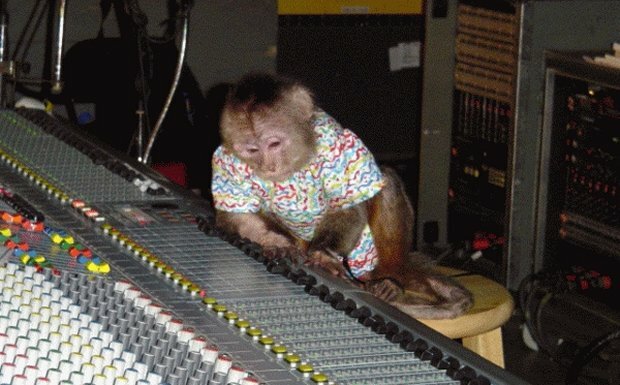 I’ve seen fellow musicians sometimes do outright idiotic things to infuriate sound guys (not necessarily out of spite – more often out of ignorance, really). I cringe whenever sound guys condescend artists – or worse, make sweeping generalizations about "those typical musicians" – if they don’t necessarily talk the talk, instead of helping them through it. At the end of the day, no one wins. So, what can I do then to make things work, and why is the sound guy so angry?! Well, if you’re reading this, that’s a great start. In future articles, I’m going to go over all of the things you can do to try to put yourself in the best position to have the best gig possible. One part of it is preparing and knowing as much as you can about everything on your end, while another part is having a good social IQ, good communication, and staying professional when issues arise. I'll give you a look into the world of "The Angry Sound Guy" so you can learn as much as you can about where he or she is coming from. As far as the reason he or she is so angry – sometimes that can be more difficult. If dozens of bands on a weekly basis use you, abuse you, and constantly make the same mistakes, it may be hard for you to be a shining beacon of optimism whenever a new band comes through the door. That dreaded feeling of "here we go again" washes over you. But I propose we break the cycle. We need each other to succeed, so let’s make it happen. Aaron Staniulis is not only a freelance live sound and recording engineer, but also an accomplished musician, singer, and songwriter. He has spent equal time on both sides of the microphone working for and playing alongside everyone from local bar cover bands to major label recording artists, in venues stretching from tens to tens of thousands of people. Having seen both sides at all levels gives him the perfect perspective for shedding light on the "Angry Sound Guy." You can find out more about what he’s up to at aaronstaniulis.com.